Just Add Ink: Just Add Ink #184 Just Add Bows! Just Add Ink #184 Just Add Bows! Happy Friday to all the Just Add Ink readers! 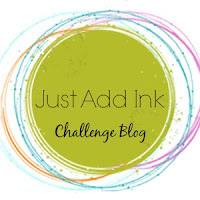 It's Trish here and I'm super excited to present the challenge of Just Add Bows for this week. You can add a bow so easily to any creation so I'm keen to see how you might take this challenge just that little bit further!!! The Design Team have come up with some amazing designs this week so after you've got your inspiration and made your creation don't forget share with us and link it up below. Labels: Challenge. JAI #184. Bow. Just Add Ink #183... Winners! Just Add Ink # 181....Winners!! !